When it was first published, in 1990, The 7 Habits of Highly Effective People was an almost instant bestseller—and became a permanent part of the cultural lexicon. With more than 15 million copies sold in over 33 languages and 75 countries since its first publication, this book continues to help millions of people become more effective—both in their personal and professional lives. A well-known authority on leadership and family relations, Dr. Stephen R. Covey holds a Bachelor of Science from the University of Utah, an MBA from Harvard, and a PhD from Brigham Young University. He serves as Vice Chairman of FranklinCovey Co., and is an in-demand speaker, teacher, and organizational consultant. Throughout his career, Dr. 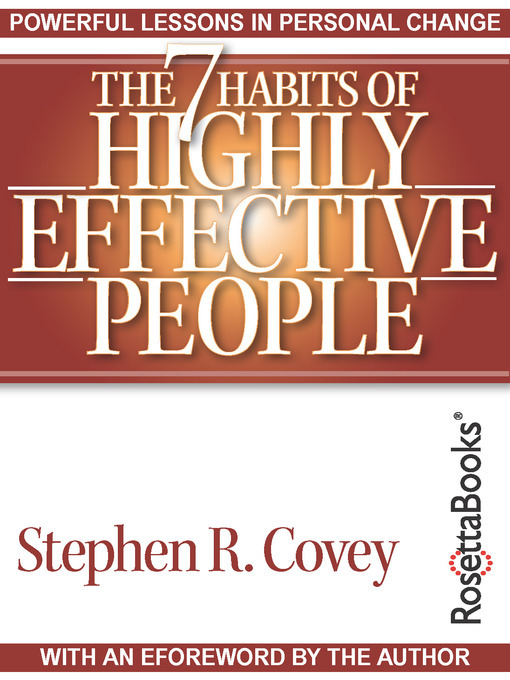 Covey has brought new insight and understanding to millions of readers and students.